Preview: With Flora, Two Richmond Southern Food Heavy Hitters Hope to Branch Out | Food and Drink | Style Weekly - Richmond, VA local news, arts, and events. 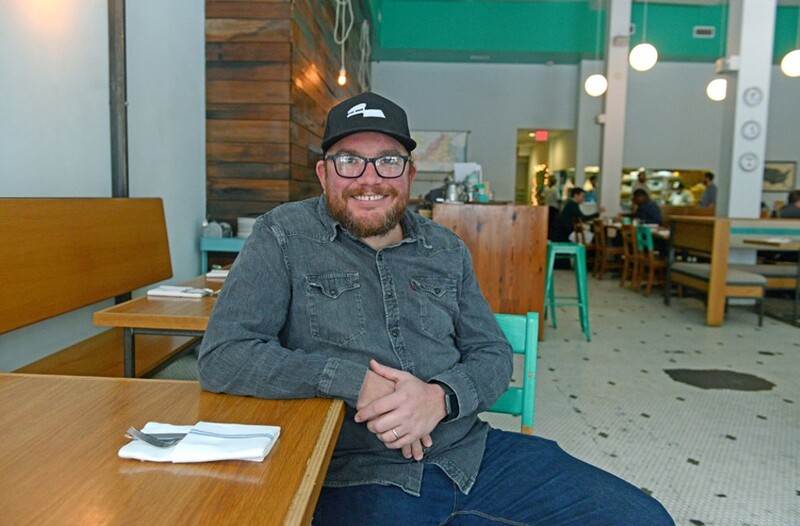 Scott Elmquist Jason Alley, along with business partner Michele Jones, Saison’s Jay Bayer and chef Sergio Gomez, plan to revamp the Balliceaux space and open a Oaxacan-influenced restaurant, Flora, in March. It’s been a long time since Jason Alley has had the chance to break out of his comfort zone. “I haven’t not cooked Southern food for 15 years,” he says. That’s part of the impetus behind Alley’s new venture with his Comfort and Pasture business partner, Michele Jones, and Jay Bayer of Saison. Their restaurant, Flora, will open at the beginning of March in the now-closed Balliceaux on Lombardy Street. It will focus on authentic Mexican cuisine — Oaxacan food, to be specific. Pasture’s chef de cuisine Sergio Gomez, a native of that area, will lead the kitchen and work with Alley to mine the best of what the region can offer Richmond. The two have been talking about it for more than 10 years. Still, Alley and Gomez are searching for sources for some of Oaxaca’s hard-to-find ingredients. In the months ahead they plan to rigorously test recipes to see if substitutions can be made when what they want is unavailable. One ingredient they won’t compromise? Chapulines. “I have a hard enough time with meat,” Jones says, looking at her partner skeptically. In Oaxaca, chapulines are deep-fried and often seasoned with a sprinkle of chilies and a little lime. They’re eaten in tacos, on top of chalupas and as straight-up crunchy snacks. Gomez says you can grind them up to make salsa. Both chefs want them on Flora’s menu. For Jones, a longtime veteran of the Fan’s much-loved Texas-Wisconsin Border Café, the new spot is a move back to a neighborhood she holds dear. “I lived around the corner in the 1500 block of Grove Avenue when I first moved here,” she says. When broker Martin Blum came to Alley and her with the property, she knew it was a deal that they couldn’t turn down. The two already had talked to Saison’s Jay Bayer about doing a project — “It was a no-brainer to have [him] involved,” Alley says. Jones agrees. “It’s also fun to bring in someone else [to a partnership] with fresh ideas,” she says. Bayer is planning a cocktail menu that focuses on agave and cane sugar, he says — tequila, mescal and rum. The interior will be updated, Jones says. “The place has really good bones,” she says, “but the concept calls for brighter colors.” There are no plans to change anything structurally — the space is ready to go.